HSE prescriptions for antidepressant and anxiety medications rose in Ireland by almost two thirds over a 10-year period, according to new statistics. This article by Stephen Mcdermott, appeared on the Journal.ie, 1/08/18. Figures seen by TheJournal.ie show that between 2009 and 2017, prescription for eight antidepressants available from the HSE increased by 64%. The medications include the Select Serotonin Reuptake Inhibitors (SSRIs) Fluoxetine, italopram, Paroxetine, Sertraline, Fluvoxamine, Escitalopram, and the Serotonin- Norepinephrine Reuptake Inhibitors (SNRIs) Duloxetine, and Venlafaxine. None of the drugs are addictive, and those who abuse them do not experience the same cravings that other drugs cause. Some experts say the huge increase in the rate of prescriptions shows a greater willingness among Irish people to present to medical professionals about their mental health. However, others warn that the figures show the dominance of a medicine-based approach to mental illness, and have called on the Government to make other kinds of treatment more readily available. SSRIs, the most-commonly prescribed antidepressants which work by making more of the neurotransmitter serotinin available in the brain, saw the biggest increase in prescriptions over the 10-year period. Ireland’s most common antidepressant, Escitalopram, available as Escripex and Lexapro, saw its prescription rate increase by 71% to 609,655 in 2017. However, Sertraline, sold under the brand names Derpreger and Lustral, saw the biggest rate of increase, with a 204% rise in the number of prescriptions issued between 2009 and 2017. That increase also included a 512% rise in the number of Sertraline prescriptions issued to children under the age of 18 over the 10-year period. 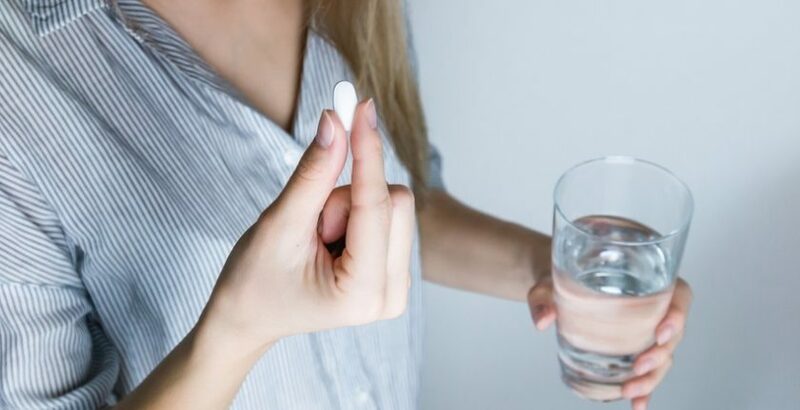 Prescriptions for Fluoxetine, better known as Prozac, rose by 34% among the general population, with a 181% rise in the number of prescriptions issued to children under 18. However, there were falls in the number of prescriptions issued for the three other SSRIs available, including Paroxetine (18% decrease), Citalopram (6% decrease), and Fluvoxamine (1% decrease). There were also increases in the prescription rates of less common SNRIs, which make more serotonin and norepinephrine available in the brain, between 2009 and 2017. Venlafaxine, Ireland’s most common SNRI, sold as Efexor, saw a 48% increase in the number of prescriptions in the 10 years to 2017, when 368,891 prescriptions were issued. Prescriptions of Duloxetine, sold as Yentreve, rose by 120% over the 10-year period, although there was a 40% decrease in the number of prescriptions of the drug issued to under 18s. In a statement, the College of Psychiatrists in Ireland said that the figures showed a heightened awareness of mental health problems among Irish people, and suggested more people were seeking help than was historically the case. CEO of Mental Health Ireland Martin Rogan said the figures were “encouraging”, as they showed that people were willing to seek treatment for mental illness at increasing rates. He told TheJournal.ie: “Rates of mental illness tend not to change radically over time, so it seems that more people have come forward in the last decade, as opposed to a higher rate of illness. “This is certainly something that should be seen as encouraging, because it’s the kind of thing that people didn’t necessarily have a conversation about in the past. “Of course, people who require mental health treatment need a range of services and a whole package of measures, not just a medicine-based one. However, the Irish Association for Counselling and Psychotherapy (IACP) told TheJournal.ie that the rate of prescriptions represented the “dominance of medication” in how mental illness is treated in Ireland. In a statement, the group said: “IACP also believes that access to counselling and psychotherapy services should be available on a universal basis to all those in need of such a service. The group added the use of “evidence-based therapy” to treat mental illness should be made more readily available in Ireland through primary care services and general practice.